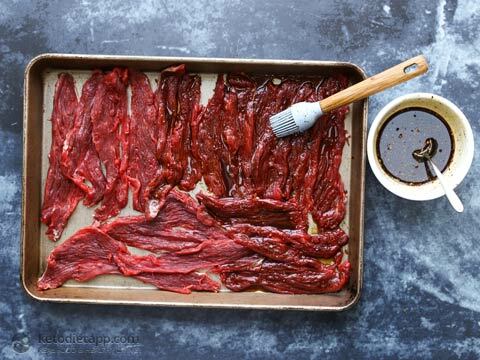 Have you ever tried making your own beef jerky? It&apos;s a healthy snack that is high in protein and almost zero-carb. 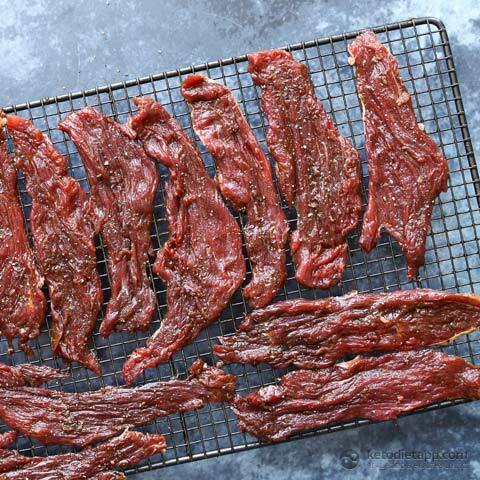 Making jerky at home is really easy and you won&apos;t even need a dehydrator. All you need is an oven! 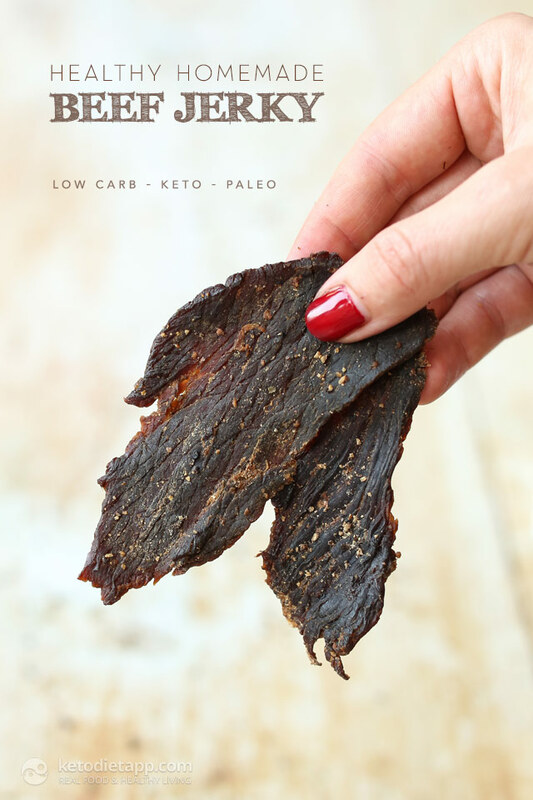 I love making low-carb jerky because it&apos;s a fantastic travel-friendly snack — it lasts for months without refrigeration. Dehydration (removing water from food) helps preserve it, and using salt adds another level of protection. I keep some jerky at hand when I travel, or just in case I get hungry and have no time to cook. It&apos;s also ideal for camping and even makes a great edible gift. Most jerky products contain sugar, MSGs, caramel colouring and starches. Although there are a few sugar-free products that are made with simple whole foods and organic meat, they can be really pricey. Homemade jerky is not just delicious, it&apos;s a lot less expensive and you have complete control over what&apos;s going into it. 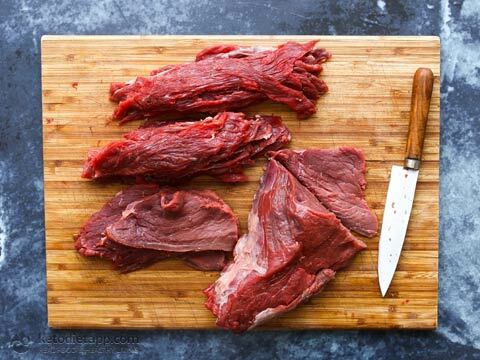 Use lean meat cuts and part-freeze them to make them easy to slice. Using a sharp knife, slice as thin as you can. Marinate the sliced meat (ideally overnight). 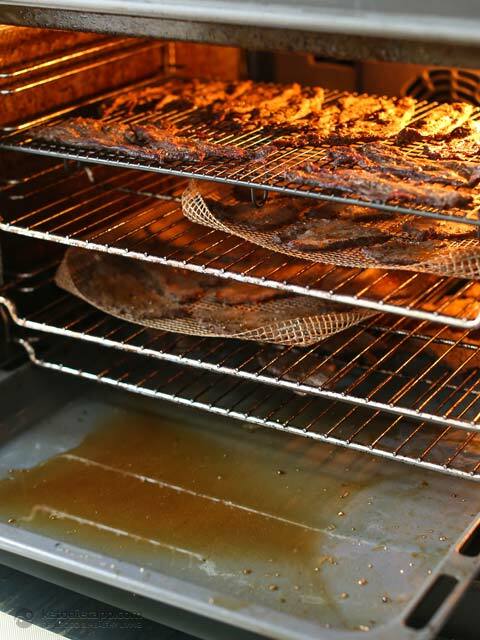 Dehydrate on oven racks with a tray positioned in the bottom part to collect the juices, and leave the oven door slightly open using a wooden spoon so that the meat dehydrates rather than cooks. When done, leave at room temperature to cool down and dry out. Store in a sealed jar at room temperature for months. 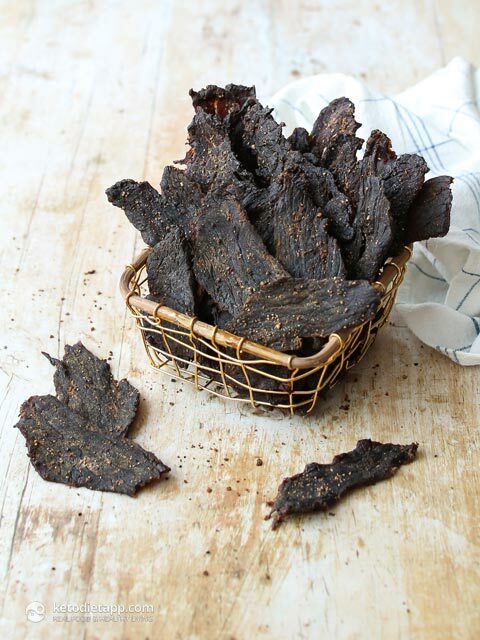 This homemade jerky recipe is so versatile! You can skip the sweetener, add herbs or sub any of the spices with your favourites. To make the marinade, I used coconut aminos but feel free to swap it with tamari sauce (fermented gluten-free soy sauce) if you can tolerate it. If you can&apos;t eat beef or simply want to try other equally delicious options, try lean pork such as tenderloin, chicken, turkey or duck breasts (without the skin). The options are endless! Just remember to use lean cuts as excess fat would slow down the dehydration process. Compared to most recipes you&apos;ll find online, mine uses less marinade, just enough to add flavour without wasting ingredients. 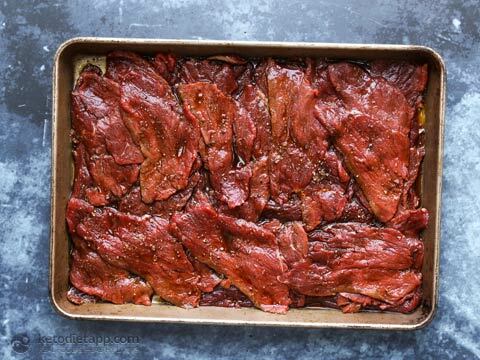 In fact, I found that using less marinade that is more concentrated makes the jerky more flavourful. If you don&apos;t like your jerky too hard or chewy, make sure to cut it against the grain, or try this Soft & Tender Beef Jerky made with ground meat that also includes a quick video tutorial. Now let&apos;s make some jerky — I hope you like it as much as I do! Before you slice the meat, place it in the freezer for 1 to 2 hours. The aim is to part-freeze it so that it&apos;s easy to slice really thin. Once ready, use a sharp knife and slice the meat into long strips as thin as you can. I slice mine to less than 1/2 cm (1/4 inch). You can also ask you butcher to slice it for you. Note: Slice the jerky to your preference. Slicing the meat against the grain will result in jerky that is easier to chew as it will break more easily as you chew it. If you slice it with the grain, it will be more chewy and harder to break apart. 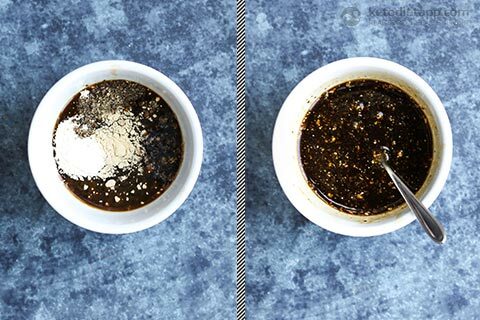 Prepare the marinade by mixing the coconut aminos, fish sauce, coconut vinegar, onion powder, garlic powder, smoked paprika, freshly ground coarse black pepper, smoked salt and brown sugar substitute. Optionally, add chile flakes or cayenne pepper if you want to add some heat. Use a baking tray deep enough to fit all the meat. Brush the bottom of the tray with some marinade. Place the first layer of the meat slices inside the tray and brush the tops with the marinade. Place another meat layer on top and brush again with more marinade. Repeat until all of the slices are in the tray. Cover with a cling film. Place in the fridge for 8 hours to marinate, or ideally overnight. When the meat is ready, preheat the oven to 70 °C/ 160 °F (fan assisted), or 90 °C/ 195 °F (conventional). Lay the slices on clean racks (or a heatproof wire rack or a mesh net tray) and transfer into the top part of the oven. Note: Keeping the oven door slightly open will help dehydrating the meat without cooking it. A wooden spoon or a crunched can inserted in the top of the door work best. Thanks to The Art of Manliness for this great tip! Place a baking tray in the bottom section of your oven ready to collect all of the juices dripping from the meat (otherwise your oven will get really messy). Dehydrate for 3 to 4 hours. The exact time depends on the thickness and position of the racks. The top rack will dehydrate faster than any racks below as the juices will drip down. The jerky is done when it’s dry and it snaps when you bend it. 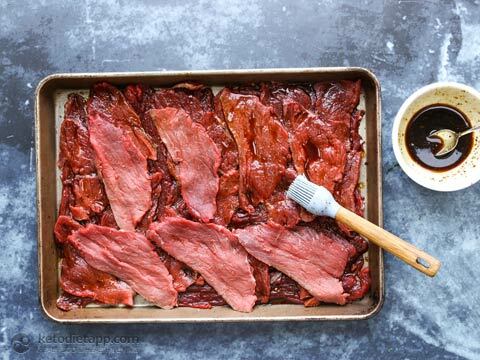 Remove the jerky from the oven and let it cool down. You can leave it out for up to 24 hours. The longer you leave it, the drier it will get. Storage: Properly dehydrated jerky is travel-friendly. Keep it in a sealed jar or a Ziploc bag at room temperature for 3-4 months. I was so interested to see this recipe. We have been making biltong - the South African version - for many, many years. Thinly sliced meat is lightly salted with kosher salt, laid out on a tray and left overnight in the fridge. Then coriander seeds are grounds with cumin, cloves and peppercorns. The sliced meat is then wiped dry before being coated with the ground herbs and then being laid out and dried in a dehumidifier for about 24 hours. The meat should be cut with the grain lengthwise for best results. Simple and delicious. Perfect Keto standby! Thank you Christiana, that sounds interesting, I'll give it a go! A trick I've been using lately is to keep the jerky in the freezer. Then if it's a fattier cut there's no issue with rancidity. I've also been making Salmon jerky in a similar way. Slice and spice it, put in a ziploc for a day then into the dehydrator. Again, I keep it in the freezer and get a few pieces out as needed. Also, I try and wild salmon and keep the skin on. I suspect some won't be that keen on the skin so they can get skinless or remove it when slicing. 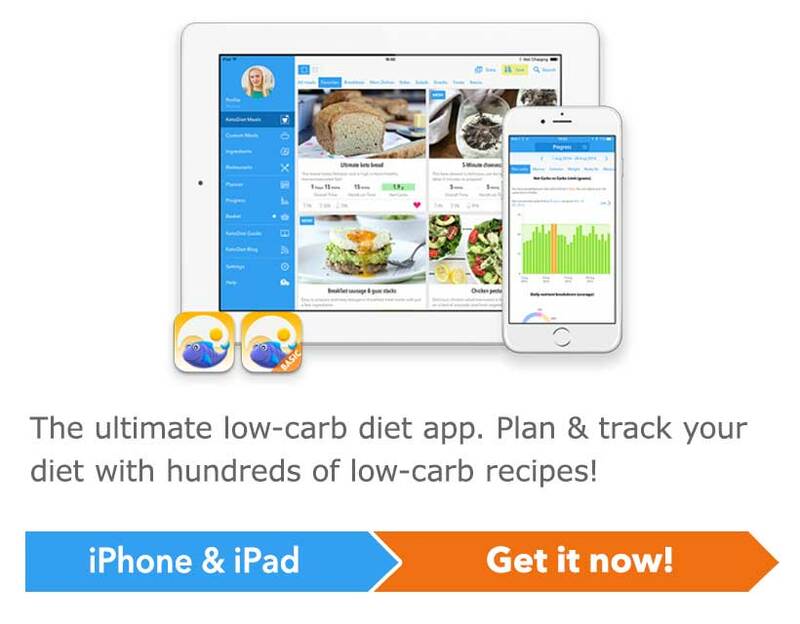 Oh I'd love to try salmon jerky, on my list  Thank you for the tip!